Brian Feehan’s propane industry past spans about 15 years, as he held key market development roles with the World LP Gas Association (in France), the Propane Vehicle Council and the Propane Education & Research Council (PERC). With PERC, he was a vice president tasked with developing the on- and off-road engine fuel markets. Feehan left PERC in 2011 to become president of the Washington, D.C.-based Industrial Truck Association (ITA). Its membership is composed of manufacturers of lift trucks, tow tractors, rough terrain vehicles, hand-pallet trucks and automated guided vehicles, as well as parts suppliers, throughout the United States, Canada and Mexico. ITA represents 90 percent of the forklift manufacturers in the United States and Canada. 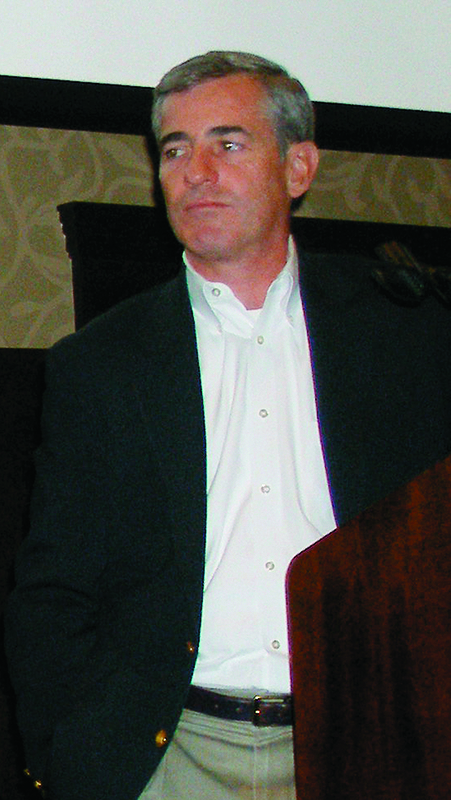 LP Gas Editor in Chief Brian Richesson talked with the Maine native about his role with ITA and the changes taking place in the forklift industry today relative to propane. LP Gas: Can you tell us about the Industrial Truck Association and the role you play as president? Feehan: This group traces its roots back to the late 1920s and has been in its current form since 1951. We’ve been here in D.C. for about 30 years. We have the traditional association structure – board of directors, executive committee and regular standing committees, where a lot of the work gets done. Within our general engineering committee is an air quality subcommittee that keeps its eyes on what’s going on from a regulations standpoint, with both EPA and CARB, from an emissions perspective as well as other environmental regulations. This is an important area for the propane industry. One of my responsibilities is to make sure all of those committees function the way they are supposed to function. Another particular focus for me has been on the strategic direction of the organization, what the members of the organization would like us to achieve. 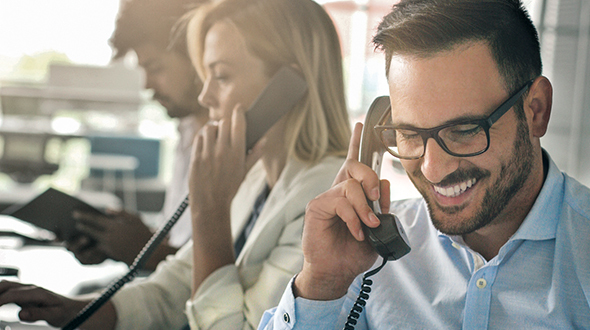 When I first started at ITA, I took a comprehensive look at what the organization was doing and put together a strategic plan that looked forward to the next three to five years. It was also necessary for me to evaluate the image or brand of the association. This is a very solid membership-based organization, but we needed to bring us into the 21st century. We changed the logo, website and took a comprehensive look at the communications program, what the ITA brand stands for and how we serve our members and the industry. Now we have created an electronic newsletter that is distributed to members, enhanced the statistics program with an upgraded software system and made some internal and external changes to enhance the value of the association. I also have to follow closely what’s going on in the international community. Tariff and trade issues are some of our highest priorities. LP Gas: Was it difficult to leave the propane industry or were you ready for a new challenge? Feehan: It was definitely difficult, but the opportunity to run an established trade association doesn’t come up often. I started in the propane industry in 1998 and developed a lot of relationships with good people. Of course, I loved what I used to do, but this is an exciting opportunity. 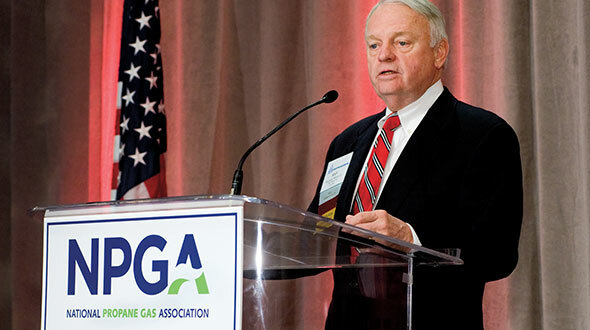 LP Gas: How much communication, if any, does your association currently have with the propane industry? Feehan: Our members are very interested in what’s going on with propane. It’s still a very large market segment. Almost all of our members build and sell propane-powered forklifts, so they are always interested in what’s going on from a propane perspective, including fuel-supply and fuel-quality perspectives. We keep an eye pretty closely on energy for a variety of reasons. Your sources of supply [for forklifts] are electric power as well as propane, diesel, natural gas, gasoline, so we always know what’s going on [with fuel sources]. LP Gas: Have your ties to the propane industry and knowledge of propane been beneficial in your work with ITA? In what ways? Feehan: One of the more beneficial parts was what I learned from a regulations and emissions perspective when it comes to internal combustion engines and dealing with regulatory authorities, but also having the global perspective on market development. That was probably one of the bigger, if not the biggest, advantages – the experience I got not only working in France and market development around the world but also working with various cultures of companies and international governing bodies, navigating different cultures and different approaches, the way people conduct business, was very beneficial. That international and market development experience continued when I came back to the U.S. working at PERC. LP Gas: We hear propane-fueled forklifts are losing market share to electric forklifts. Can you confirm this trend and the reasons propane is falling behind, or is propane still running strong, in your opinion? Feehan: From an internal combustion perspective, propane is still running strong. It is the standard fuel for the forklift industry for internal combustion engines. There have been some changes in the marketplace over the past couple of years; some trends have started to develop. You first have to look at what the economy is doing, how the market segments within the economy are performing and what the types of products are coming out of those market segments. It is important to take that into consideration when looking at the market share and size and the products being sold, that you factor in the job required of the forklift as a product for those segments and the type of technology available for those market segments. That’s where you are starting to see increases in technology from an electric standpoint, now able to perform some of the functions that only internal combustion engines used to perform and where you start to see some erosion in the marketplace. A lot of research and development has been invested in battery technology that improves the overall performance of the electric truck, including lifting capacities, speed, run times. 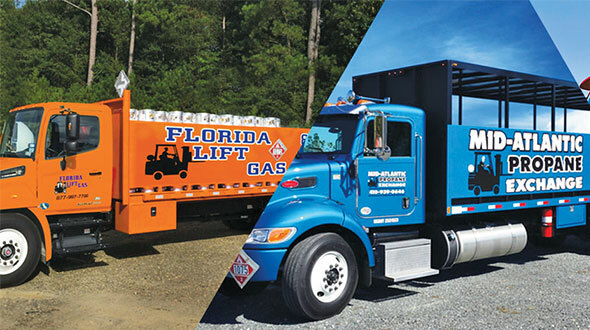 LP Gas: The propane industry is working toward, what it calls, a new generation of forklifts, with lower operating costs and better emissions characteristics. Can the industry make up for market-share losses or is electric forklift technology superior? Feehan: I see an awful lot of money and technology development going into the battery side, infrastructure on the charging side, as well as productivity of the electric forklift. There are regulations imposed on manufacturers; they have to make continuous investments in research and technology to meet those standards. One type of fuel delivery strategy in off road is hybrid technology, but it’s not with propane. It’s with diesel. A few manufacturers have diesel electric hybrids. That type of technology is out there, but we need to take that technology and apply it to the U.S. The market would be propane electric. It would have to be done with a lot of things in mind, and cost would be one of them. There are also opportunities for the propane industry to look at fuel delivery strategies with OEM partners. LP Gas: What types of comments are you hearing from your manufacturers about the fuel being used in their equipment? What are their biggest issues? Feehan: They’re constantly involved in or are looking at fuel quality. Current and future emissions standards require good fuel quality. Development of technology can accommodate variations of fuel quality to a certain degree, but fuel quality is an important component. You need to have good fuel quality to achieve the stringent emissions standards. LP Gas: What are some of the technological advances being made in your industry? Feehan: Battery technology and the increased productivity of electric trucks. It’s all about measuring efficiency – the efficiency of the operator, how efficient are they in the process of their job; fleet management systems, making sure your fleet is optimized for its role; truck productivity, truck durability, automation; fleet usage data is constantly being looked at and improved on; fuel cells; people look at lifecycle costs from the manufacturer’s cost of the product; they are always looking at safety; from a charging perspective – conventional charging, opportunity charging and fast charging; battery perspective – lithium-ion batteries, super capacitors, flywheel technology; natural gas technology, LP technology, diesel; hydraulic fluid pressure technology with combustion engines. LP Gas: Turning to autogas in general. Propane industry outlooks show great potential for the internal combustion engine market, specifically engines for on-road vehicles and lawn mowers. Do you agree with these outlooks or do you feel the challenges outweigh the opportunities? Feehan: I started off in the propane industry in France for four years, and when I came back to the States the autogas market was not in great shape. It was almost like an infant market all over again. We had a mature industry with an infant market but with fantastic opportunities. The programs that had been successful in Australia, England, France, Poland and in other places – I knew if we used some of those programs as models we could be successful in the U.S. again. We also needed to build a cohesive approach to market development. We went from having very few products available from an on-road perspective to a wealth of products in many market segments today. It’s also true when you look at the off-road segment. When we first started doing commercial mowers five, six years ago, we had one [compared to more than 12 OEMs today]. If you look at that marketplace today, it’s still an infant market with tremendous opportunity for the propane industry. 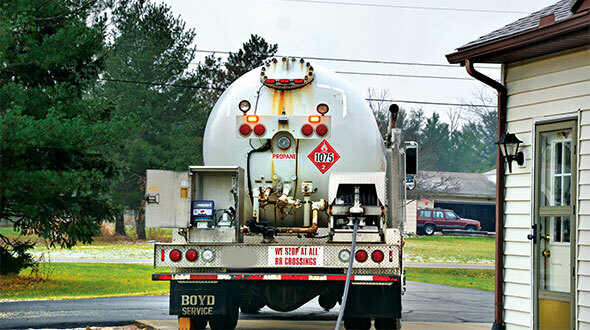 If you look at the consumption of fuel that takes place in the autogas market alone, on and off road, the propane industry should be driving millions of gallons through the segments that exist. It’s a regular paycheck for a lot of companies.